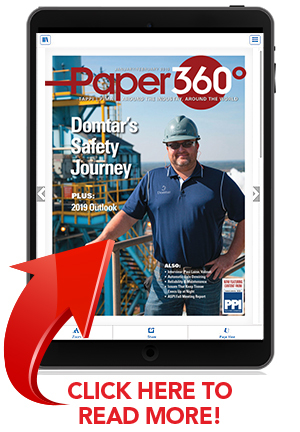 The January/February 2019 issue of Paper360 is now available! Viewing this email on your phone? Our mobile optimized reading view has you covered with scrolling views that automatically adjust for your reading pleasure. Click here to start reading this issue now! Thank you to our advertisers, whose support helps make this publication possible.